She’d just gotten off her internship and was enjoying a slice of pizza at her favorite restaurant with her mom when it happened. Katherine Calamia, to her friends Kat Cal and her fans Comic Uno, reached her goal on Kickstarter. 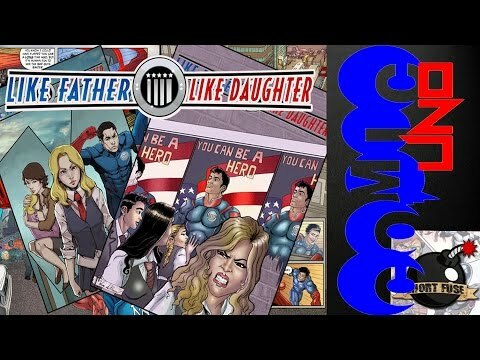 A longtime reviewer on Youtube and almost lifelong comic book reader, 100 fans of Kat’s pledged a total of $6,010 to get her first comic book, Like Father, Like Daughter, published. “It was really exciting and of course relieving that we hit our goal,” Kat stated. Kat didn’t stop at just enjoying the medium she loved. She decided she wanted to share her enjoyment (and sometimes her distaste) by talking about her love of comics with people online. She started reviewing comics in her sophomore year of high school. 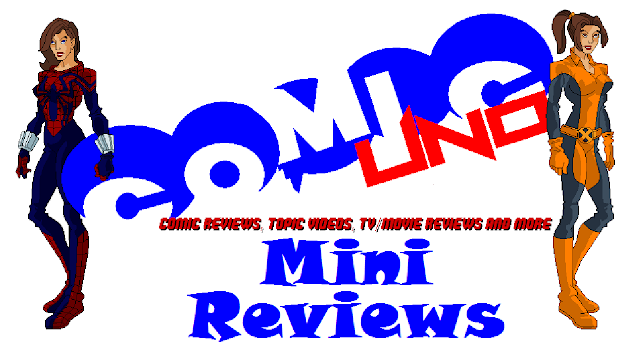 Kat and her friend were inspired by the frequent video reviews posted on a website called Comic Vine, the equivalent of Wikipedia for comics. The two became “Comic Duo.” However, when Kat’s co-host decided to move on from comics and the show, she continued on, reinventing herself as “Comic Uno.” She currently reviews comic books and does weekly topic videos featuring various matters about comics. 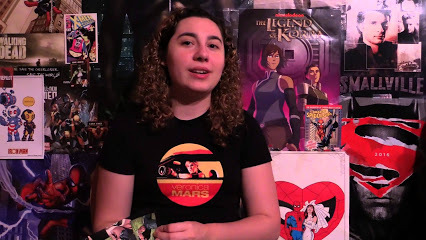 When the TV show Young Justice, a show about teenage superheroes based on DC Comics, aired, Kat began doing reviews for the show and expanded to other shows including Revenge, Once Upon a Time and Daredevil. But it was Kat’s college career that helped her start her first comic book. 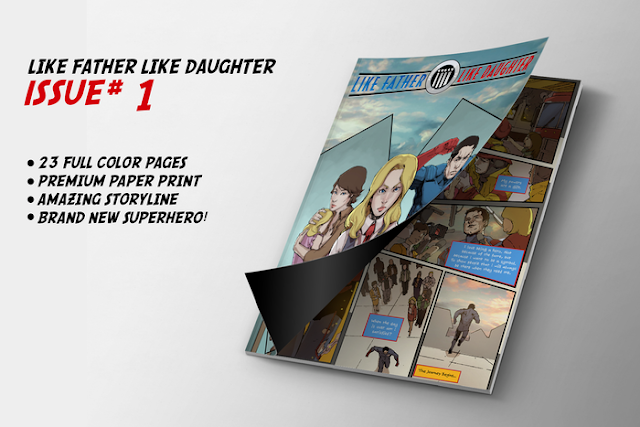 In her screenplay writing class, Kat began a screenplay which would later be transformed into her first comic book, Like Father, Like Daughter. The story of Like Father, Like Daughter features a single mom and her daughter, Cassie. Cassie’s dad is the world’s only superhero. In order to do what he saw as right, Cassie’s father left her and her mother to become a fulltime superhero. Now, Cassie must learn to cope without her father there… and with several other super surprises as well! “I knew with this comic I wanted to make a grounded story about family,” Kat shared with me. “I wanted to explore of course your traditional family mother, daughter, father. As the comic continues you will see a non-traditional family kind of form also through the friendship of Cassie, Steph, and Wes. I also wanted this book to kind of poke fun at the comic book superhero genre but of course at the same time respecting it.” The comic book takes place in Kat’s hometown, Staten Island, because Kat believes there aren’t a lot of superheroes associated with Staten Island versus other places in New York such as Manhattan. Kat is a young woman I very much admire as an aspiring comic book writer myself. She’s already achieved so much in 20 years and still has so much more to offer both the comic book world and the television industry. The name “Comic Uno” is synonymous with Katherine Calamia, now a published comic book writer whose future is looking super.